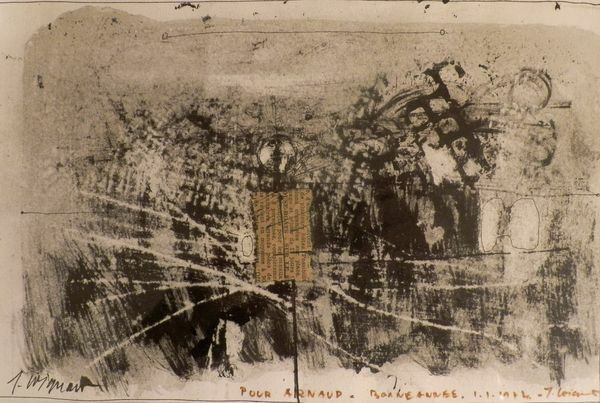 James Coignard, a painter, ceramicist, sculptor and printmaker, was born in 1925 at Tours. He had a short four-year career in the civil service. At the age of 23 he discovered the landscapes of the Côte d’Azur, which gave him the desire to attend classes at the school of decorative arts of Nice. His encounter with Paul Hervieu in 1950 proved to be decisive. His association with the Galerie Hervieu made him known in the art world and abroad, especially in the Scandinavian countries. At the start of his career, he was designated by critics as belonging to the School of Paris and very quickly his painting and ceramics were appreciated. At the start of the 1960s he began to work with glass. In 1986 his friend Henri Goetz discovered a new printmaking process with carborundum, which led to new direction for Coignard. Printmaking then became central in his work. His career at the same time took on an international dimension. He travelled a lot, especially to Sweden and to the USA, where he lived for a few years. In 1978 James Coignard began a long collaboration with the printmaking studio Pasnic. During the 1980s, he lived between Paris and the Côte d’Azur and was interested in artists books and the issues relating to publication. From then on he exhibited all over the world and was recognized as one of the greatest painter-engravers of his time. He continued to work prolifically up to his death in 2008, as much in sculpture as in painting and printmaking and left behind him an immense oeuvre.